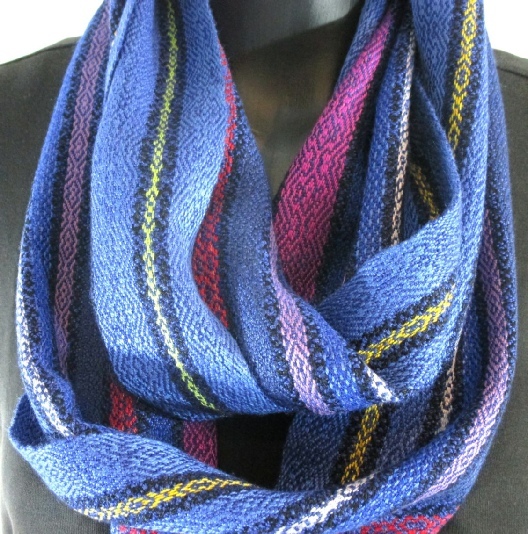 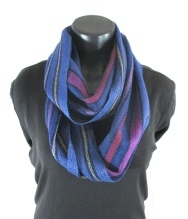 This soft, medium weight infinity scarf is made of silk, wool, and bits of tencel and cotton. It feels luxurious! 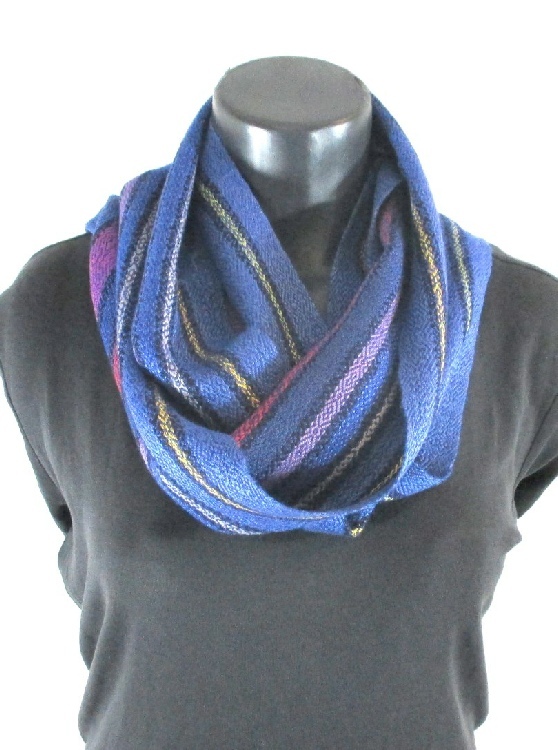 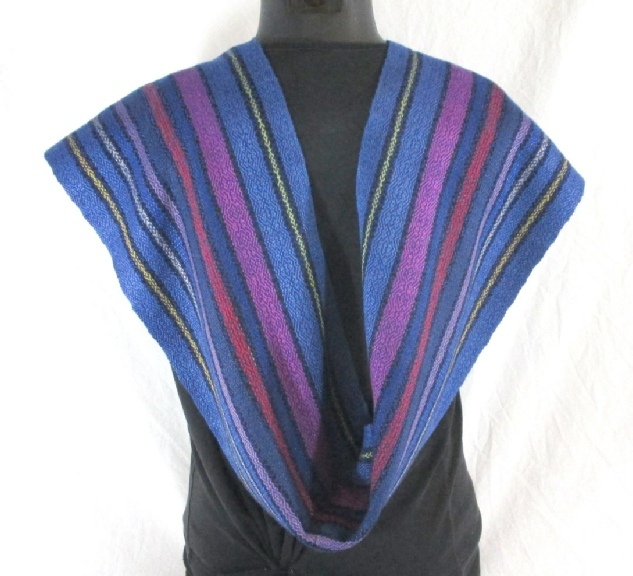 I wove this scarf in a complex twill design, using navy silk/wool yarn. This yarn gives this scarf a little more weight than some of the others. 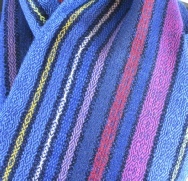 It also adds a soft luster to the fabric, with a little less sheen than some of the other scarves have. 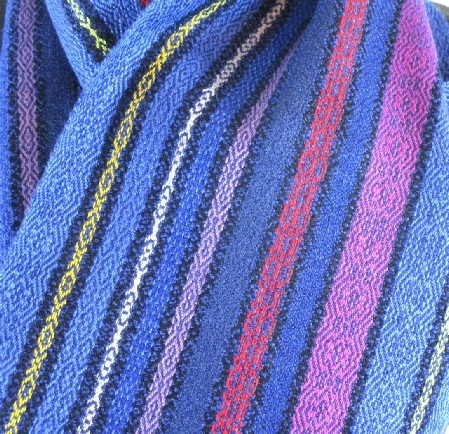 It measures 9” x 65”. 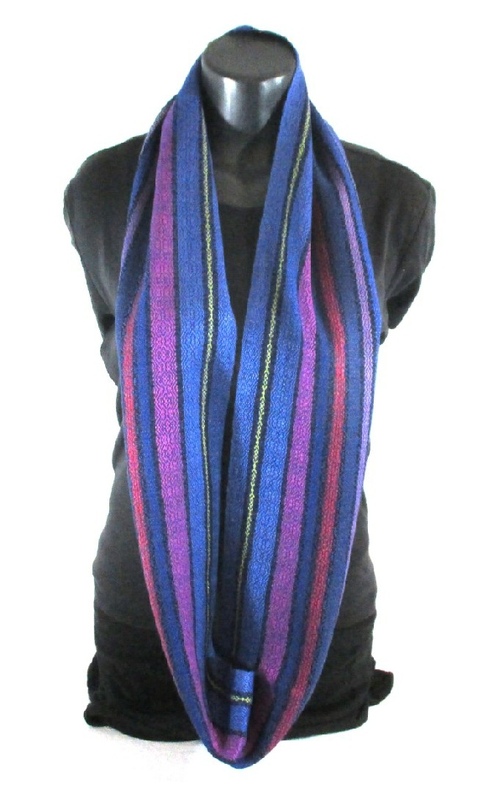 This is long enough to comfortably loop around your neck twice. Or, wear it long and straight. You can even spread it out like a shawl. Hover the mouse over any image to enlarge it.